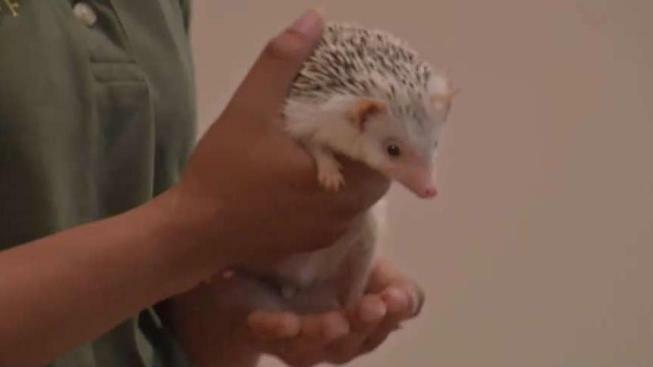 Legalizing Hedgehogs as Pets Considered in DC, Fairfax Co. Lawmakers in the area have been considering whether African pygmy hedgehogs should be allowed as pets. Colleen McCormick has wanted one for years. “I generally just think they are fun, adorable creatures,” she said. When she and her husband looked into getting a hedgehog for their Capitol Hill home, they found out they’re illegal in D.C.
She convinced her Council member Charles Allen to try change that, and last month, the D.C. Council gave preliminary approval to legalizing ownership of hedgehogs, but then the Humane Rescue Alliance stepped in and convinced lawmakers to back off. Humane Rescue Alliance Vice President Chris Schindler said often times when people buy an exotic pet, they end up in shelters because they aren’t able to properly care for those pets. “Most people buy these types of animals as an impulse purchase,” he said. Schindler points to turtles as a perfect example of exotic species that people buy as pets only to realize later they can’t properly care for them, so many of them end up at their shelter. “And so then we have animals that are either surrendered that are unwanted and animals that are not properly cared for and treated cruelly,” he said. McCormick doesn’t think it’s fair to ban hedgehogs just because they may require special care. “There are going to be things you as an owner are going to need to do and learn and address so that pet can have the best life possible, and that’s not exclusive to hedgehogs in any way,” she said. Allen is considering reintroducing his hedgehog legislation next year. The Fairfax Planning Commission gave preliminary approval to legalize hedge hogs as pets.